throwing is a thing. It’s huge in Canada. At our rustic warehouse in Millvale, adults of all skill levels can try their hand at it. You and your friends, coworkers, wedding party, or knitting club get a lane and take turns throwing at a target. It’s sort of like bowling, but without the silly shoes. And with way more axes. 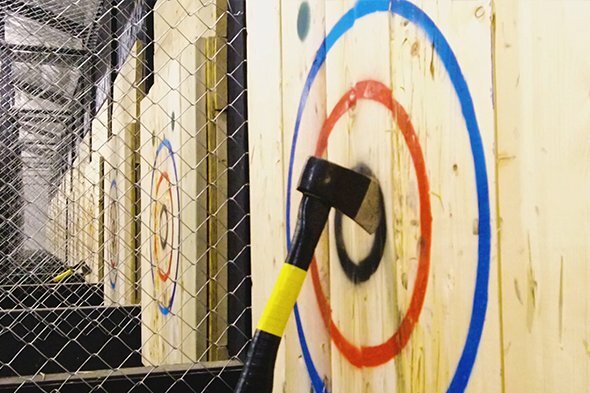 Our expert staff aims to provide the ultimate axe-throwing experience for walk-ins, private parties, team-building events, and leagues. We’re serious about customer service, so you can focus on having some serious fun. So round up a crew, take aim, and let ’er rip. The sport of competitive axe throwing developed out of the backyards of Matt Wilson and his friends in Toronto in the summer of 2006. 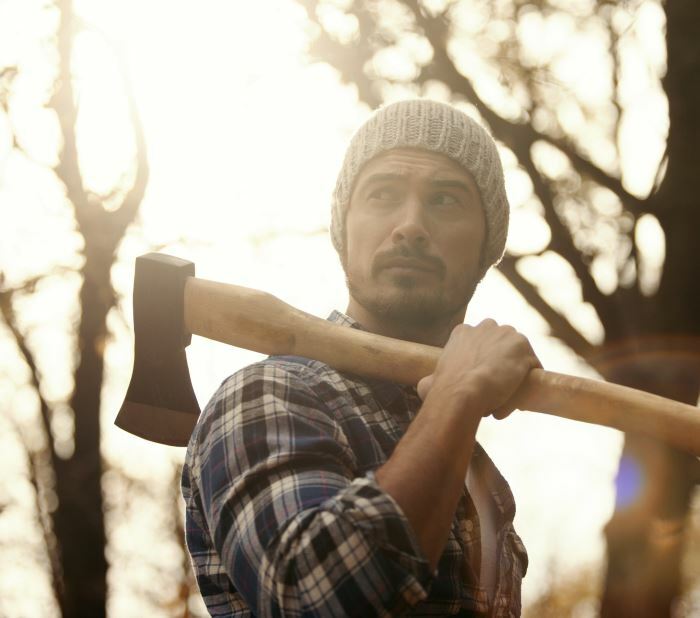 Soon after, Matt opened the first axe throwing venue in Canada. Today, hundreds of thousands of people have taken part in the axe throwing phenomenon. Axe throwing venues have now opened in 10 Canadian cities and 5 American cities -- with hundreds more being built in 2017. Lumberjaxes founders, Corey Deasy, Matt Peyton, and Jack Welsh enjoyed the axe throwing experience while on vacation in 2016, and immediately knew that axe throwing would be a welcome addition to the Pittsburgh region. Lumberjaxes is located in Millvale Borough near the renowned Grist House Craft Brewery, Draai Laag Brewing Company, and Mr. Smalls Music Venue. The facility is BYOB friendly, and there is plenty of great beer nearby!